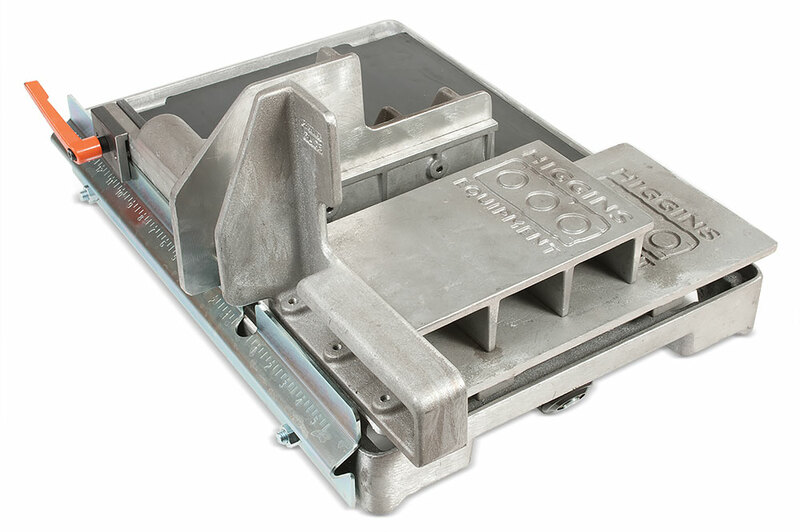 The Higgins Jig is an exceptionally fast and safe tool for producing 2 x 8 right angle corners, paver corners, and lintel corners. The patent pending design allows for a two-step process when cutting corner brick or stone veneers. 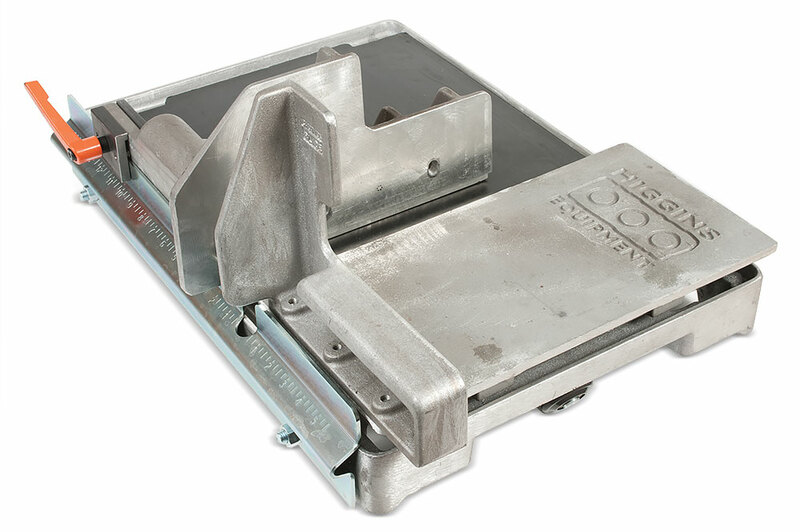 When compared to the usual 4 to 5 step process the Higgins Jig can reduce cutting time to just 10 seconds, depending on the type of material being cut. Setup for cutting is a simple two step process that involves no tools of any kind. The jig makes cutting veneers not just fast and accurate but far safer than traditional veneer cutting methods. Fatigue is reduced since no foot pedal pressure or saw head height adjustments are required when cutting with the Higgins Jig. Both of the operator's hands are clearly visible and safely guarded from the blade at all times by our hand-hold guards.There is no switching of hands between pushing the cutting table and controlling the saw head height. The Higgins Jig can also be used to cut veneer corners in river rock and other irregularly shaped materials. The Higgins Jig with the riser attachment is also an exceptionally safe and productive way to cut 2 x 8 flat veneers, paver tiles, and paver splits. 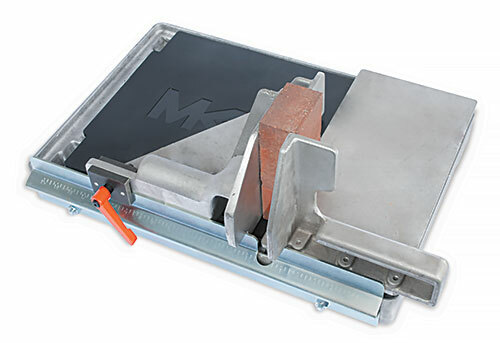 Can be used as a rip guide for cutting any masonry material from bricks to stone to concrete blocks. Click on thumbnail for enlarged images.